I will write a 2012 retrospective, but first I have to do this. End of August, 2012, until just-before-Christmas, were pure hell. I have known worse times in my life, for sure, but not many, not so many that I can count on the fingers of one hand. Without including the thumb. 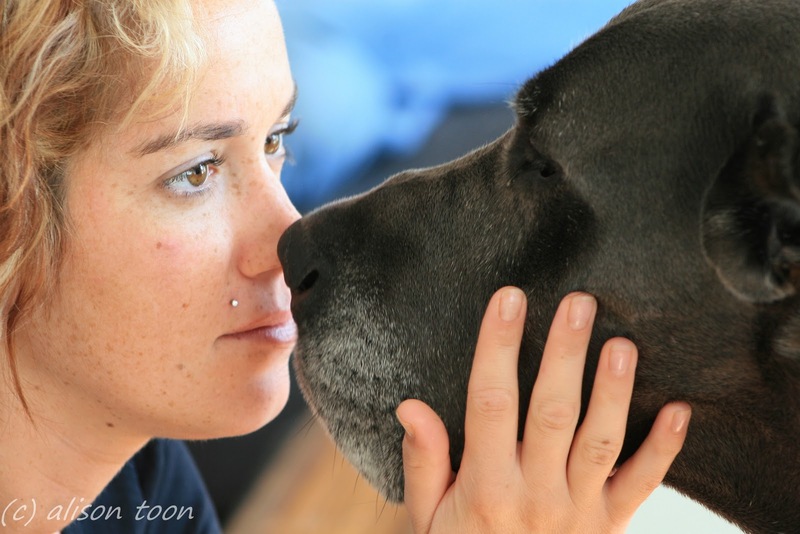 From the totally out-of-the-blue, shocking diagnosis of Bella's osteosarcoma, through seeing the tumour grow--literally, measurably, miserably--day-by-horrible-day, until her last breath, her last heartbeat, she was pure Love. She never cried, never whimpered, never asked for more than we could give. She just loved. She was so very, very, very brave. I never knew I could feel the loss of a pet, an animal--a dog!--so hard. Maybe it was because she was so big; bigger than a child, heavier than me, taller, on her hind legs, than any man. Maybe it was because we had such a struggle together for the first year; her so fearful, me so wondering what the heck I'd set myself up for, knowing that a commitment is for a lifetime (ours, or theirs). Maybe it was because she'd been my constant companion for three-and-a-half intense years. Or maybe it was simply that I was her human, and I've never been that for any dog before, not really, even though there have been others that I've loved and lost over the years. And maybe it was that she was 150lb of pure Love. Part of me wanted to rush right out and find another Great Dane. That was the sad, emotional me that just wanted to hug her one more time. The sensible, logical part that has been through loss before, said wait: there needs to be time to grieve, to mourn... and then time to do things that have been put aside for the past few years. Because there were definitely sacrifices made; whether travel opportunities that were missed, or through the worry when leaving her with others, knowing she might not eat or might become so stressed she'd revert to the fearful animal she once was. I will wait a while. There is a hole to fill, and I know there are plenty of abandoned animals who need a home to share. 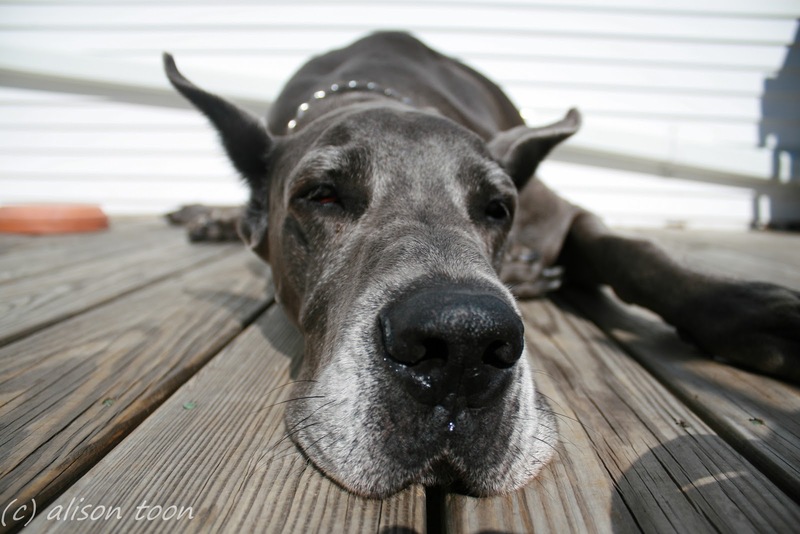 There are always Great Danes needing rescue. 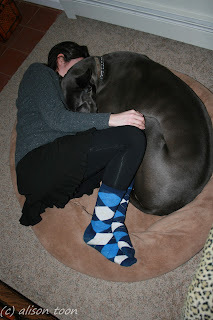 I guess people don't know what they are taking on when they think it would be cool to have a giant breed in the home. And I don't blame the people who give them up, if they know they are not able to provide the care that's needed. Bella left a big hole in my life... and I must not, will not, take another, expecting to fit a round peg into a Bella-shaped hole. I will wait a while. It does get easier, day by day, little by little. 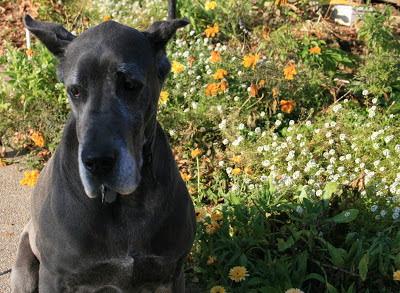 Though short, she lived a full life, even though she arrived in my life as an adult: from playful puppy and mature adult to elderly-canine-greyfaced lady. And she left us with dignity, courage and bravery. And so much Love. And that Love goes on with us, and never leaves. Remember: Love is a gift you give yourself.